Mpumalanga Rubber (Pty) Ltd uses only premium materials, whilst endevouring to keep repair costs to a minimum so as to offer clients long lasting, trouble free, repair solutions. We offer competitive prices and don’t tolerate shortcuts. 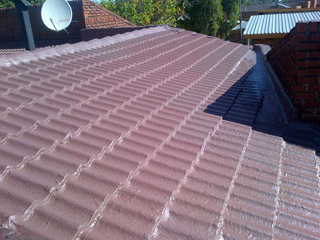 We are one of the few roofing contractors willing to guarantee our workmanship for 10 years. South African roofs have to withstand harsh, year-round sun exposure, tempestuous summer storms, high incidences of lightning strikes, golf sized hail stones and freezing overnight winter temperatures. 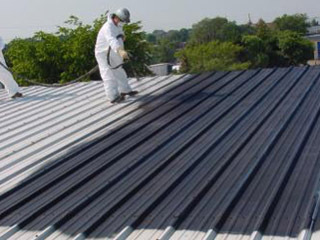 Roofs thus have finite life spans and require regular maintenance checks to ensure that potential problems are detected early enough so as not to result in very expensive repairs. Many property owners tend to forget about their roofs until they spot an anomaly or see a nasty water mark on their ceiling. Roof problems can often be attributed to lack of maintenance or bad workmanship. Mpumalanga Rubber provides cost effective, long lasting, repair solutions for industrial, commercial and residential clients. We service all areas of Mpumalanga and Gauteng and have a number of teams servicing this region. 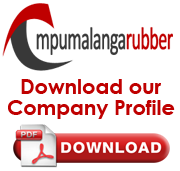 Look out for the following frequently encountered roofing problems. Persistent roof leaks can lead to structural damage and give rise to dangerous mould and mildew which can attack wooden and concrete structures. Should you have a roofing problems or would like us to conduct an assessment of your structure, simply fill out the contact form alongside and one of our trained roofing specialists will contact you to discuss your requirements and arrange for an on-site assessment.